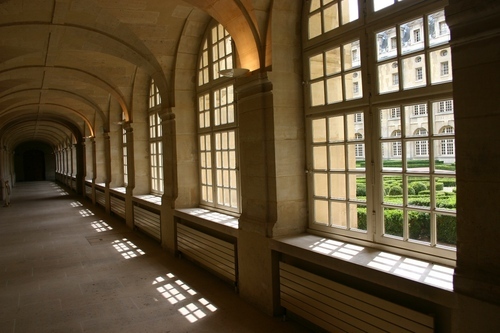 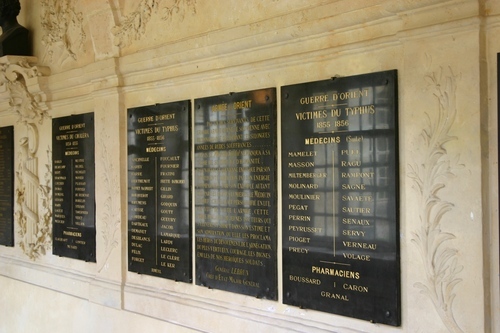 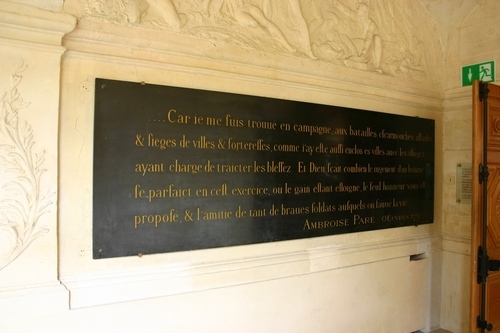 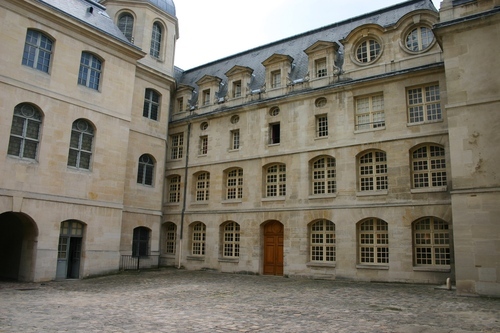 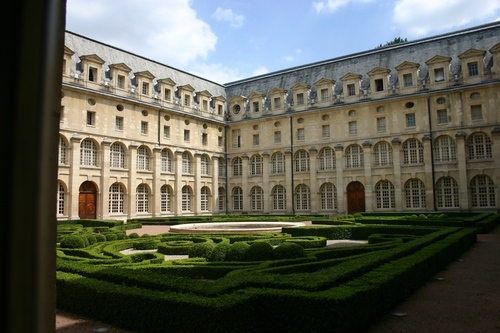 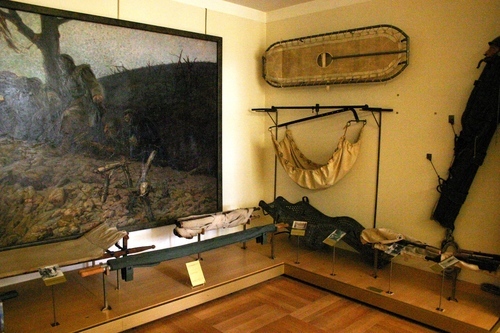 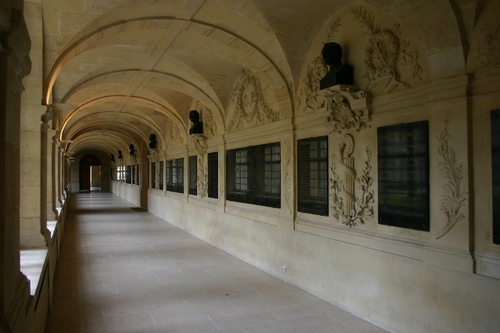 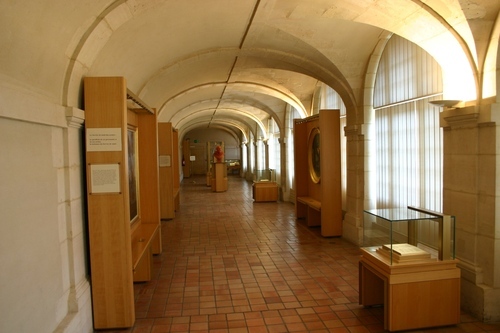 The rich and beautiful Musée du Service de Santé des Armées (Military Health Service's Museum) is located in one of the monumental buildings of the Hôpital d'instruction des armées du Val-de-Grâce in Paris (entrance from Place Alphonse Laveran). 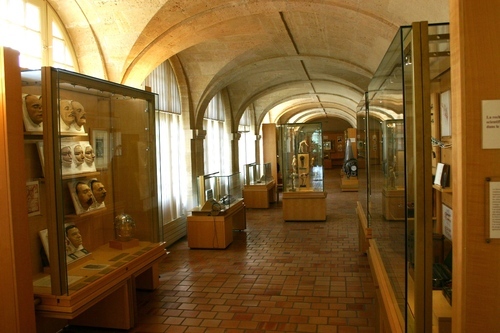 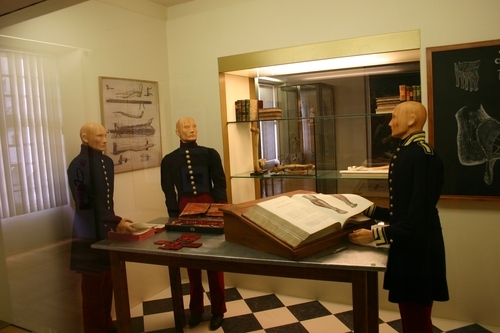 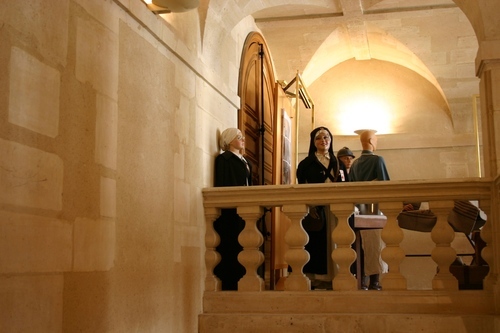 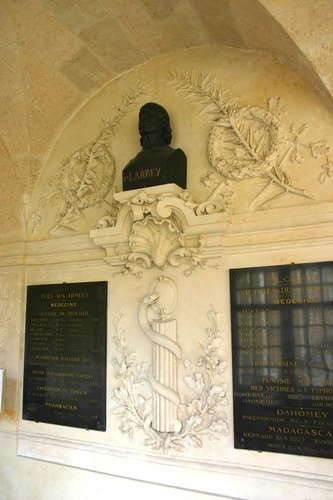 Initially, devised as an anatomical museum for the instruction of students at the military health school, it started to turn into a historical museum in the late 1880s, thanks to the then Director of Health Service, Georges Dujardin-Beaumetz, and to Hippolyte Larrey who bequeathed to the new museum an important collection of paintings and objects belonged to his father Dominique-Jean Larrey. 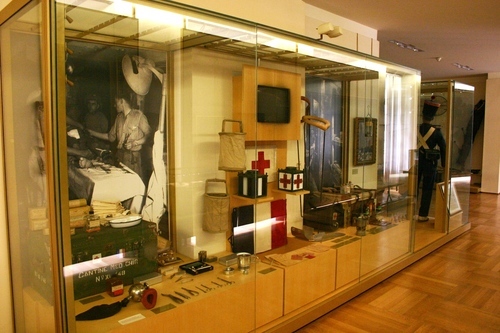 Since World War One, the Museum acquired its current objective of illustrating the history of the military health service.